Today, real-time behavior of programs is a property that emerges from implementations rather than a property that is specified in models. Control over timing behavior of software is difficult to achieve, and timing behavior is neither predictable nor repeatable. I will argue that this problem can be solved by making a commitment to deterministic models that embrace temporal properties as an integral part of the modeling paradigm. I will show moreover that deterministic timing is practical today without sacrificing performance for many useful workload models. Specifically, I will describe a class of computer architectures called Abstract PRET Machines (APMs) that deliver deterministic timing with no loss of performance for a family of real-time problems consisting of sporadic event streams with hard deadlines. Edward A. Lee is the Robert S. Pepper Distinguished Professor in Electrical Engineering and Computer Science at UC Berkeley where he has been on the faculty since 1986. He is the author of Plato and the Nerd – The Creative Partnership of Humans and Technology (MIT Press, Fall 2017), a number of textbooks and research monographs, and more than 300 papers and technical reports. Lee has delivered more than 170 keynote talks and other invited talks at venues worldwide and has graduated at least 35 PhD students. Professor Lee’s research group studies cyber-physical systems, which integrate physical dynamics with software and networks. His focus is on the use of deterministic models as a central part of the engineering toolkit for such systems. 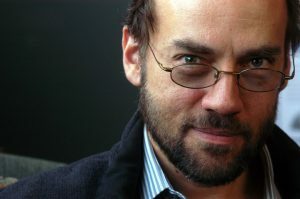 He has led the development of several influential open-source software packages, notably Ptolemy and its various spinoffs.